The inclusion of (micro) HDMI ports in top-end smartphones will no doubt start to become common place. 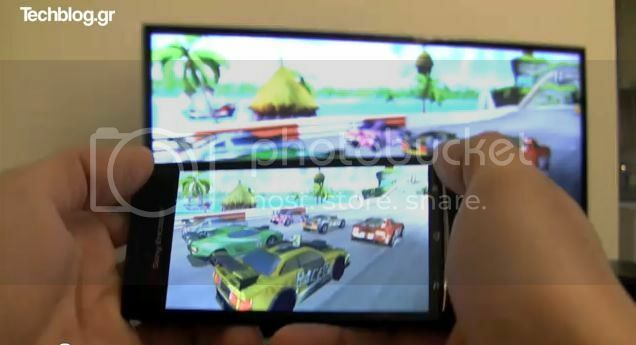 Sony Ericsson has included HDMI within the Xperia arc, which will allow you to mirror the activity of your phone onto a TV. This has been demonstrated to great effect by the chaps over at TechBlog.gr, who have produced a video that shows an Xperia arc connected via HDMI and the output seen on the TV. They play a racing game, watch a snippet from a movie, browse webpages and watch YouTube videos. They also show the arc’s homescreen mirrored on the TV. Looks like a great addition to us, especially for media content. Check out the video below.